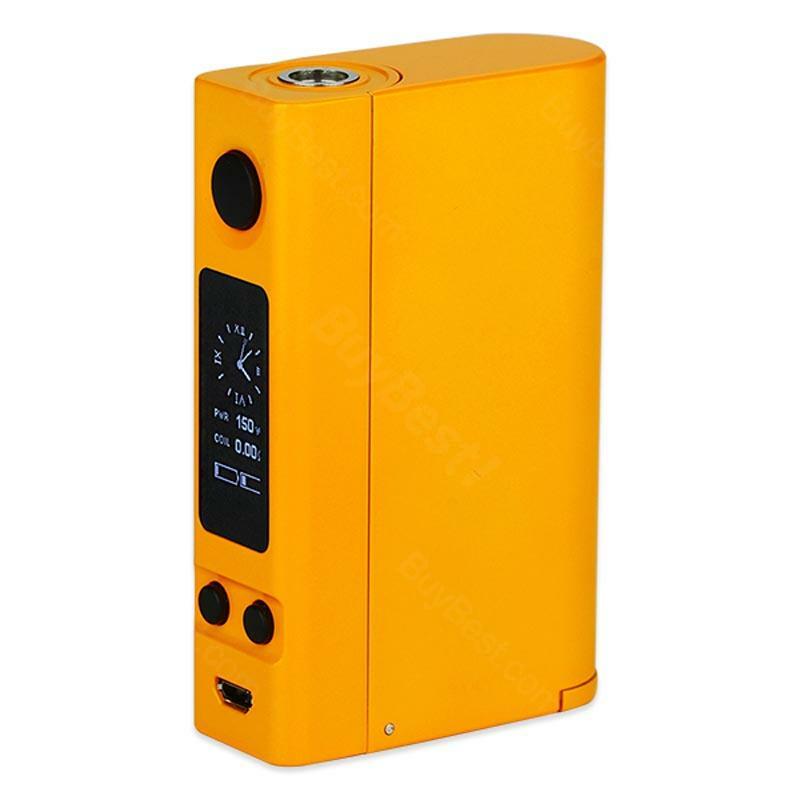 Efficient and convenient, Joyetech eVic VTC Dual Mod provides 150W output by dual batteries and 75W by single battery. It’s featured with On-board Reverse Polarity Protection, RTC (Real Time Clock) Display as well as upgradeable firmware. Efficient and convenient, Joyetech eVic VTC Dual Mod provides different max outputs: 150W with dual batteries and 75W with single battery. It’s also featured with Onboard Reverse Polarity Protection and dual circuit protection. The RTC (Real Time Clock) Display and 0.96-inch big screen adds a taste of delicacy to this box mod. 5 optional colors. • You can buy 18650 batteries to work with it. Joyetech eVic VTC Dual TC MOD acepts 2x 18650 cells. Good quality, easy to use and other advantages. Die Lieferung erfolgt sehr schnell. Joyetech eVic VTC Dual funktioniert recht gut, ich bin aber auch kein starker Raucher.